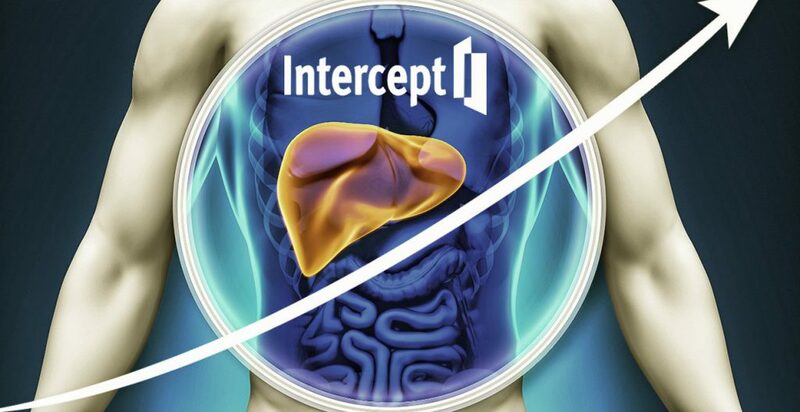 Intercept Pharmaceuticals (ICPT) overnight announced additional “supportive data” from its Phase 3 Regenerate study of obeticholic acid in patients with liver fibrosis due to nonalcoholic steatohepatitis. The new data based on additional analyses show that obeticholic acid “demonstrated robust efficacy across a range of additional histologic and biochemical parameters,” Intercept said in a statement. The data are being presented today at the International Liver Congress in Vienna, Austria. The primary efficacy analysis assessed efficacy at 18 months in 931 patients with stage 2 or 3 liver fibrosis due to NASH. Patients with biopsy proven NASH with fibrosis were randomized 1:1:1 to receive placebo, OCA 10 mg or OCA 25 mg once daily. A repeat biopsy was conducted after 18 months for histologic endpoint assessment. Overall, study discontinuations in the primary efficacy analysis population were balanced across treatment groups. As previously reported, in the primary efficacy analysis, once-daily OCA 25 mg met the primary endpoint of fibrosis improvement with no worsening of NASH in 23.1% of patients compared to 11.9% of placebo patients at the planned 18-month interim analysis, the company said. In the primary efficacy analysis, a numerically greater proportion of patients in both OCA treatment groups compared to placebo achieved the primary endpoint of NASH resolution with no worsening of liver fibrosis; however, this did not reach statistical significance. As agreed with the FDA, in order for the primary objective to be met, the study was required to achieve one of the two primary endpoints, it added. Additional supportive efficacy analyses were conducted using the per protocol population. Approximately three-fold more patients in the OCA 25 mg group achieved an improvement of fibrosis by greater than or equal to 2 stages compared to placebo, Intercept reported. ICPT is down 12%, or $14.14, to $106.54. Caladrius (CLBS) announced top-line results from the Sanford Project: T-Rex study, a prospective, randomized, placebo-controlled, double-blind Phase 2a clinical trial of 110 subjects to evaluate the safety and efficacy of the company’s CLBS03 as a treatment for recent-onset type 1 diabetes, or T1D, in adolescents. The initial analysis of the one-year follow-up data for all subjects shows that CLBS03 was well tolerated at the doses tested in the study, however, no improvement in the primary endpoint of preservation of C-peptide levels vs. placebo at one year was observed at the group level. As with many Phase 2a trials, the database from this study is large and the analysis and interpretation of all the information will require several months of intensive evaluation and will be critical to the decision regarding the next steps in development of CLBS03. In addition, the data from the 2-year follow-up, once complete, will afford supplemental information and are necessary to complete the evaluation of this therapy. CLBS is down $1.26 to $4.08. Clovis Oncology (CLVS) announced that the U.S. Food and Drug Administration has granted Breakthrough Therapy designation for Rubraca as a monotherapy treatment of adult patients with BRCA1/2-mutated mCRPC who have received at least one prior androgen receptor-directed therapy and taxane-based chemotherapy. Breakthrough Therapy designation is granted by the FDA to investigational agents intended to treat a serious or life-threatening disease or condition and whose preliminary clinical evidence may demonstrate substantial improvement on at least one clinically significant endpoint over available therapy. The FDA previously granted Breakthrough Therapy designation to Rubraca for the monotherapy treatment of certain advanced ovarian cancer patients and then in December 2016 approved Rubraca for the treatment of certain adult patients with deleterious BRCA mutation associated epithelial ovarian, fallopian tube, or primary peritoneal cancer who have been treated with two or more chemotherapies. The FDA subsequently approved Rubraca in a second indication, the maintenance treatment of adult patients with recurrent epithelial ovarian, fallopian tube, or primary peritoneal cancer who are in a complete or partial response to platinum-based chemotherapy, in April 2018. This most recent Breakthrough Therapy designation was granted to Rubraca based on initial efficacy and safety results from TRITON2, the Phase 2 study of Rubraca in men with advanced prostate cancer with BRCA 1/2 mutations and deleterious mutations of other homologous recombination repair genes, in the metastatic castration-resistant setting. 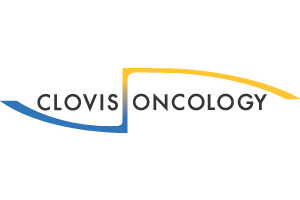 JPMorgan analyst Cory Kasimov is encouraged by Clovis Oncology’s announcement this morning that rucaparib received breakthrough designation from the FDA for the third line treatment of patients with BRCA mutated metastatic castrate-resistant prostate cancer on the basis of data from the Triton-2 study. The analyst says the news further increases his confidence in the potential for rucaparib to produce response rates that are meaningfully better than currently available options. His model implies $9 per share for prostate, assuming a 55% probability of success and $450M in peak unadjusted sales. #Kasimov keeps an Overweight rating on Clovis. CLVS closed at $29.14, it last traded at $31.50. 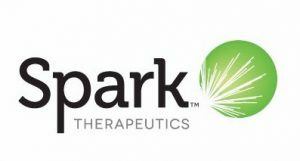 Shares of Spark Therapeutics (ONCE) are sinking after the company announced preliminary Phase 1/2 data for its investigational gene therapy candidate SPK-8011 for hemophilia A. A dose response as demonstrated by FVIII expression ranged from 16% to 49%, with a mean of 30% post 12 weeks in five of the participants in the 2×1012 vg/kg cohort, Spark announced in its Q2 earnings release. 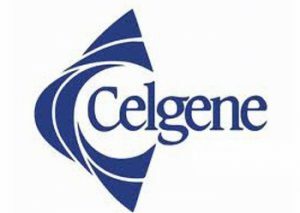 As of the July 13, 2018, data cutoff, 12 participants in the Phase 1/2 trial have received a single administration of investigational SPK-8011, including two at a dose of 5×1011 vector genomes /kg body weight, three at a dose of 1×1012 vg/kg and seven at a dose of 2×1012 vg/kg. Across all participants, at all three doses, beginning four weeks after vector infusion, there has been a 97-percent reduction in annualized bleeding rate and a 97-percent reduction in annualized infusion rate. The first two trial participants, who have been followed for greater than one year, have shown stable FVIII activity levels since reaching plateau for up to 66 weeks, with follow up ongoing. Additionally, there is evidence of a dose-dependent increase in mean FVIII activity levels across the three dose cohorts. Five of the participants in the 2×1012 vg/kg cohort have FVIII activity levels between 16 and 49 percent, with follow-up ranging from 12 to 30 weeks. The mean FVIII activity for these five participants is 30 percent, based on average FVIII levels post-12 weeks after vector infusion. These five participants have reduced their overall ABR by 100 percent and reduced their overall AIR by 100 percent. The other two participants in the 2×1012 vg/kg cohort had an immune response that caused their FVIII levels to decline to less than 5 percent. Clinically, both participants have moved from prophylactic to on-demand treatment and have seen meaningful reductions in their bleeding and infusion rates. One of these participants did not rapidly respond to oral steroids and he elected to be admitted to the hospital to receive two intravenous methylprednisolone infusions rather than have the infusions on an outpatient basis. The event was subsequently resolved. The admission to hospital for these infusions met the criteria for a serious adverse event. Of note, across the study, seven of the 12 participants received a tapering course of oral steroids in response to an alanine aminotransferase elevation above patient baseline, declining FVIII levels and/or positive IFN-g enzyme-linked immunospots. For these seven participants, steroids led to normalization of ALT and ELISPOTs. For all but the two above mentioned 2×1012 vg/kg cohort participants, oral steroids led to stabilization of target FVIII levels. Based on the totality of the results to date, Spark Therapeutics intends to initiate a Phase 3 run-in study in the fourth quarter of 2018. Following completion of the run-in study, Phase 3 participants are expected to receive 2×1012 vg/kg of SPK-8011. 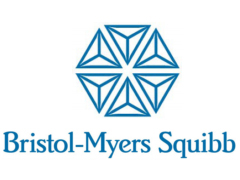 Additional details on the Phase 3 trial design will be determined following continued discussions with FDA and EMA, which are expected in the fourth quarter. Finally, the company has successfully scaled-up its mammalian-based manufacturing process in suspension to a capacity level of 200 liters and amended its agreement with Brammer Bio to secure a dedicated manufacturing suite, both of which will enable Spark Therapeutics to meet supply needs for Phase 3 clinical development as well as expected commercial requirements. ONCE closed at $77.61, it last traded at $56.00. ResTORbio (TORC) announced positive topline results from its dose-ranging Phase 2b clinical trial that enrolled 652 elderly patients at increased risk of morbidity and mortality associated with respiratory tract infections. In this trial, RTB101, an oral, selective, and potent inhibitor of target of rapamycin complex 1, demonstrated a statistically significant and clinically meaningful reduction in the percentage of patients with one or more laboratory-confirmed RTIs during the 16-week treatment period compared to placebo, the primary endpoint of the study, with the 10 mg once daily dose. Greater TORC1 inhibition with RTB101 10 mg in combination with everolimus 0.1 mg did not meet the primary endpoint, suggesting that that less TORC1 inhibition with RTB101 10 mg once daily may have greater benefit in high-risk elderly patients. The Phase 2b trial was a two-part, randomized, double-blind, placebo-controlled clinical trial conducted during the winter cold and flu season in the southern hemisphere and northern hemisphere. Patients enrolled were those at increased risk of morbidity and mortality from RTIs including patients who were: 85 years of age or older, or 65 years of age or older with asthma, type 2 diabetes mellitus, chronic obstructive pulmonary disease, or current smokers. The doses investigated in Part 1 were RTB101 5 mg and RTB101 10 mg once daily. The doses investigated in Part 2 were RTB101 10 mg once daily, RTB101 10 mg twice daily and RTB101 10 mg in combination with everolimus 0.1 mg once daily. The following was observed in an analysis of the primary endpoint: A 30.6% decrease relative to placebo in the percentage of all patients treated with RTB101 10 mg once daily who developed one or more laboratory-confirmed RTs. A 20.6% decrease relative to placebo in the percentage of all patients treated with RTB101 5 mg once daily who developed one or more laboratory-confirmed RTIs. No decrease relative to placebo in the percentage of patients treated with either RTB101 10 mg twice daily or the combination of RTB101 10 mg + everolimus 0.1 mg once daily who developed one or more laboratory-confirmed RTIs, suggesting that less TORC1 inhibition with RTB101 10 mg once daily may have greater benefit in high-risk elderly patients. To better understand the activity observed in the RTB101 10 mg once daily cohort, a pre-specified analysis of each patient subgroup enrolled in the study was conducted. The following decreases in the percentage of patients with laboratory-confirmed RTIs were observed in the RTB101 10 mg once daily cohort as compared to the placebo cohort: A 68.4% decrease in all asthma patients. A 66.7% decrease in all patients 85 years of age and older. A 26.9% decrease in all T2DM patients. No decrease was observed in either COPD patients or current smokers; a 42.0% decrease in all patients was observed when excluding patients with COPD and a 43.9% decrease in all patients was observed when excluding current smokers. All doses were observed to be well-tolerated. Data from the RTB101 10 mg once daily cohort are as follows: Adverse events were balanced between the RTB101 10 mg once daily and placebo treatment groups. 4.5% of subjects in the RTB101 10 mg once daily cohort and 7.2% of subjects in the placebo cohort had a serious adverse event, none of which were considered related to study drug. 4.5% of subjects in the RTB101 10 mg once daily cohort and 6.1% of subjects in the placebo cohort discontinued study drug due to an AE. All AEs were mild or moderate except for 11 severe AEs in the RTB101 10 mg once daily cohort and 22 severe AEs in the placebo cohort. TORC closed at $9.01, it last traded at $24.49. 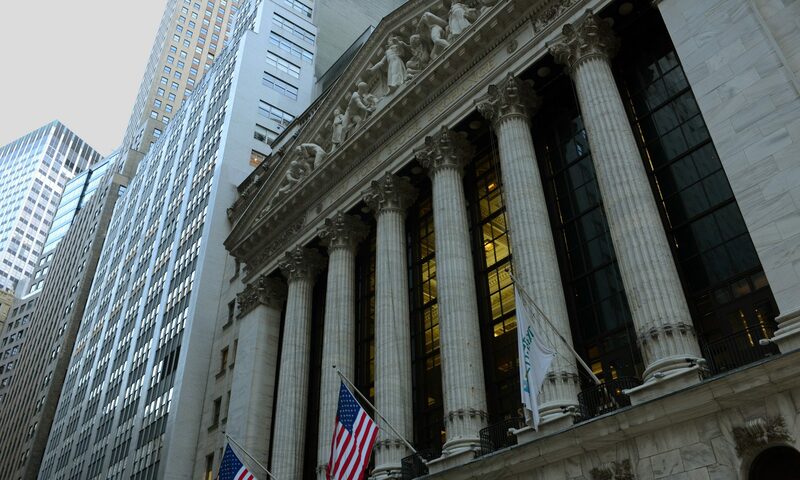 PTC Therapeutics (PTCT) announced that it has entered into an agreement to acquire Agilis Biotherapeutics. The transaction was approved by the Boards of both companies. The transaction is expected to close in the third quarter of 2018, pending successful fulfillment of all customary closing conditions. On completion, PTC plans a smooth transition of operations and the integration of Agilis’ talented and dedicated employees to continue the mission of bringing the pipeline of gene therapies for CNS disorders to patients worldwide. Under the terms of the merger agreement, PTC will pay an upfront consideration of $50M in cash and approximately $150M in PTC common stock, subject to an estimated maximum 9.34M share limit (with any shortfall to be made whole with additional cash consideration). In addition to the upfront payments, potential future consideration includes $60M in development milestones to be paid over the next two years which includes the acceptance of a BLA. Additionally, the transaction includes up to $535M in success-based milestones in connection with regulatory approvals on the three most advanced programs and receipt of a priority review voucher, as well as tiered commercial milestones of $150M, and 2-6 % of annual net sales for Friedreich ataxia and Angelman syndrome. PTCT closed at $36.55, it last traded at $39.38.